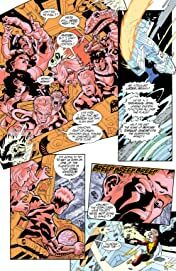 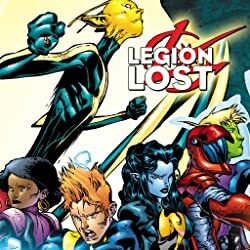 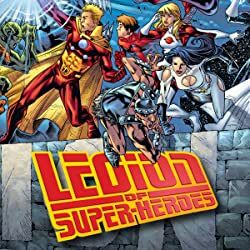 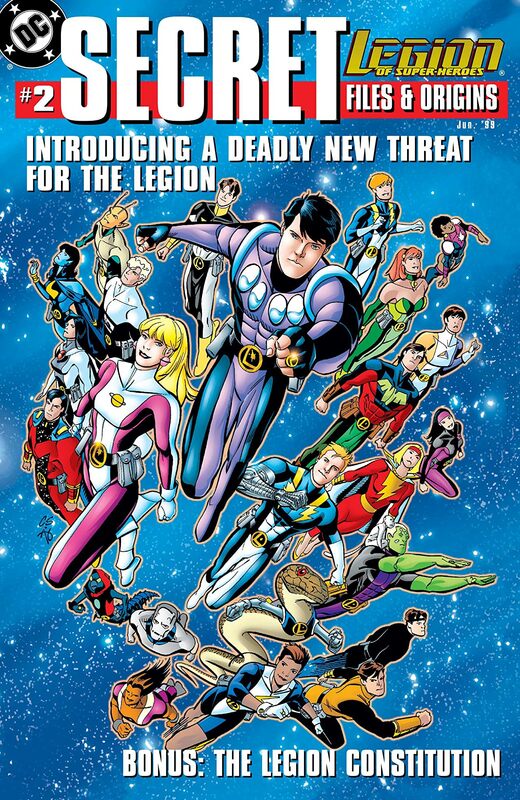 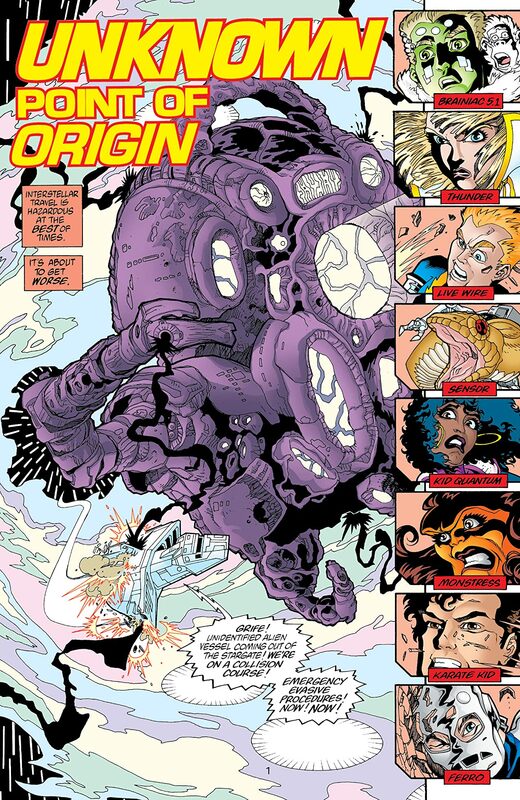 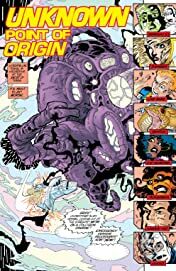 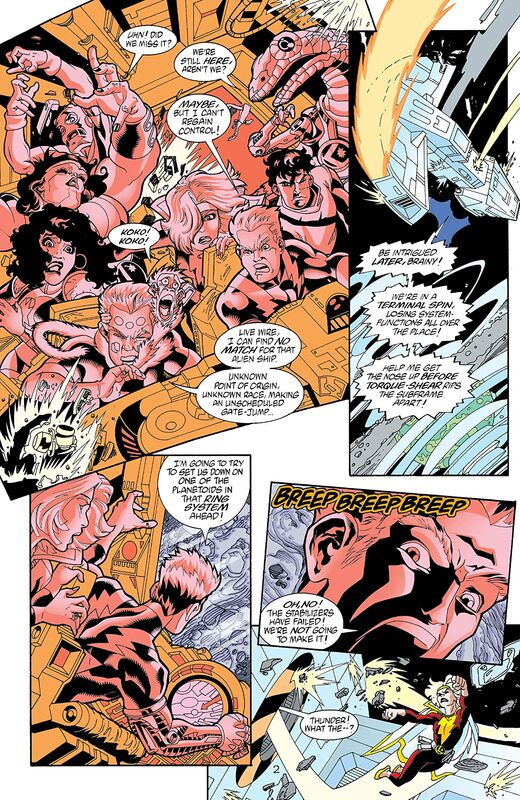 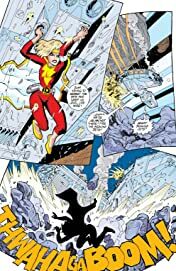 “UNKNOWN POINT OF ORIGIN.” En route to a United Planets function, Legionnaires Brainiac 5.1, Live Wire, Thunder, Sensor, Karate Kid, Monstress, Ferro and Kid Quantum crash-land on an unstable planetoid inhabited by strange beasts who don’t welcome their company. 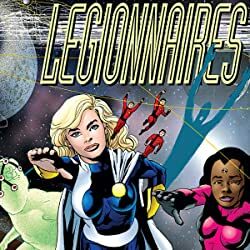 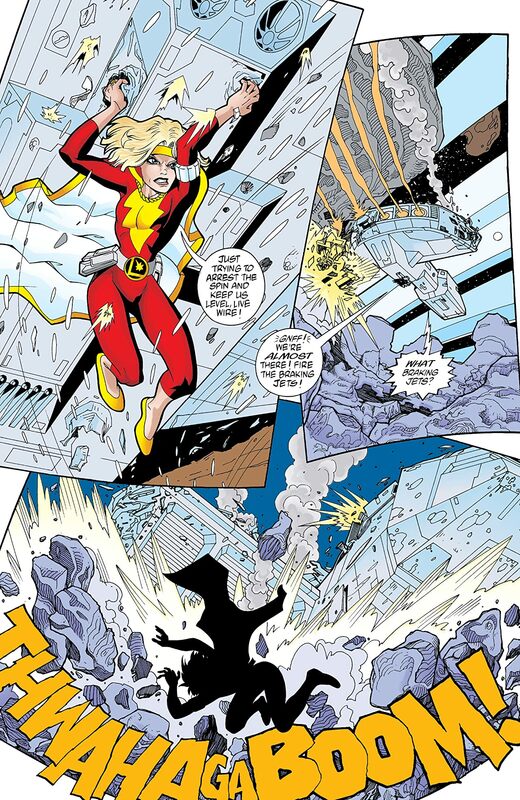 If the stranded Legionnaires can’t find a way to contact their teammates, the planetoid will explode! 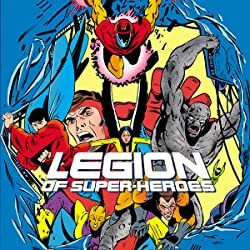 Even worse, it may only be a prelude to an even greater threat to the Legion’s future!